Periodically on the Pacific Crest Trail we crossed paths with an energetic guy named Young Geezer. It turns out that Young Geezer and his wife Patricia live in Atlanta near the Appalachian Trail’s southern terminus. They offered to be our first AT trail angels. They were awesome. 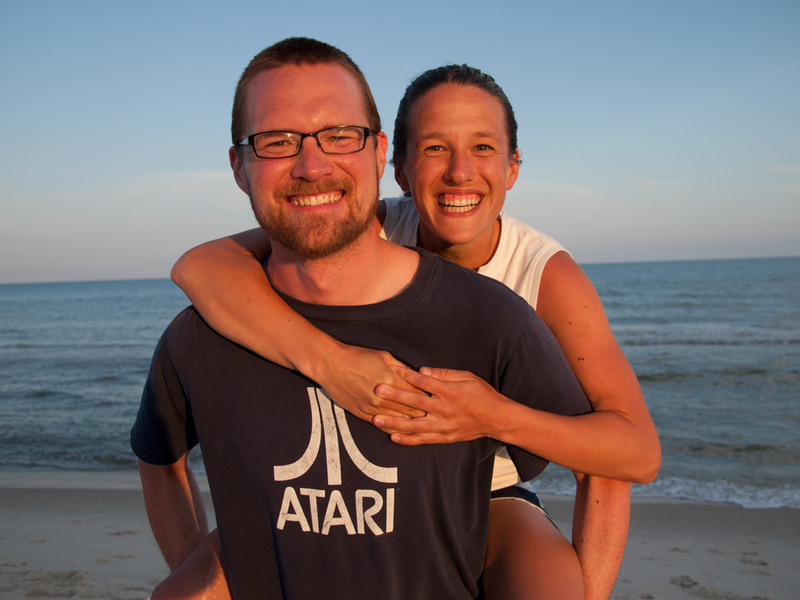 Yesterday they picked us up at the train station, shared a big dinner with us, and let us stay in their spare bedroom. Today they not only drove us to the Appalachian Approach Trail, but hiked the first few miles with us. We signed in at the Amicalola Falls State Park visitor center as AT thru hikers #351 and 352 for 2013. Then we set out on the 8.8 mile approach trail to the official beginning of the Appalachian Trail. We soon passed Amicalola Falls, towering and gorgeous. The 604 steps to reach the top of the falls were a reminder that thru hiking is breathtaking in both senses of the word. Our hearts were pounding by the top, but we were thrilled to be out hiking again. The wind was fierce and at times quite chilly. Spring had not yet arrived in Georgia’s mountains. The trees were bare which allowed long views of rolling hills fading to blue in the distance. We continued to follow the AT’s white rectangular blazes past numerous creeks and over forested hillsides. Winter’s chill was visible in the form of icicles clinging to rocks. In the evening we set up camp, met a few other thru hikers, journaled, and reflected on our first day on the AT. It felt good to be back outdoors, relaxed and aware, especially after so much intense work on the book over the last five months. Our legs felt strong and our muscles eager to walk. The creek’s gentle flow and the rhythmic croaks of frogs urged us to sleep. Every day (if cell service allows) we’ll update our location on an online map. Click “Tracking” in our blog’s navigation menu to follow our progress. Happy Trails to you both on your journey. Thanks Willito! Glad to have you following along on our next big walk. And You’re Off! By the way – is that the same Young Geezer that was hiking on the PCT last year? Yes, the one and only! We’re happy to report that he’s as spry as ever. Looks like a GREAT start on the Trail – Happy Trails – Be Safe – thanks for sharing!!! Yes, the falls near the start were beautiful. Thanks! ooh, i’m so excited for you. look forward to reading about the travel and seeing the pictures. hugs! Maybe we’ll be walking through some of the places you and Lucas did in New England! Big hugs back. It’s good hear you guys got off to a great start. A couple of weeks ago my son and I did an over night trip from Springer Mtn. to Hawk Mountain Shelter. We met some really great people at the shelter. They were all starting their thru-hikes as well. I think you guys will be in great company on the trail. Safe travels. Even though we just started our thru hike, we have already experienced some of the wonderful trail community you describe. Everyone is very friendly and helpful. So cool. Thanks! Thanks Sabrina! It’s great to be back for another long trail and to be sharing the journey here! I thought you would wait for warmer weather! You are brave and well-equipped in all senses. . We’ll be eagerly reading your blogs and enjoying the vicarious pleasures of being in wilderness. Travel safely. Hi Mary! Starting early gives us more flexibility in our timing. We figure a few cold nights are a fair price to pay. Maybe we can see you and Lindley in Asheville! So awesome to see the beginning of your journey! Would love to be trail angels for you in VT. We met Young Geezer in NoCal, but that spry fellow was WAY too speedy for us! So cool that you were able to meet up. We are excited to watch your progress! Thanks, would be awesome to meet you two! We can’t wait to experience New England in the fall. You aren’t kidding — Young Geezer is fast! He ran 60 miles on his 60th birthday! Incredible. All of the above! We are soooo jealous, but wish you the best and look forward to your reports..
We celebrated our anniversary on Mt. Hood this past weekend and were close to the PCT and thought of you two and the beginning of another adventure. Congratulations to you both! What a beautiful place to celebrate. If we can find a buffet on the AT which equals Timberline Lodge’s, we will be happy campers. Beautiful; I wish I were there. Hopefully our future AT blog posts will continue to capture that beauty. Looking forward to reading all your new trail posts! Great! Thanks for following along. Awesome! I hope you both have a great trip! I’m super jealous, but thankfully I’ll be heading out for my own hike in just a few weeks. So not as jealous was I would be. Have an amazing hike! Thanks! Hope you have a great hike too. Thanks Tressa. We like epic! 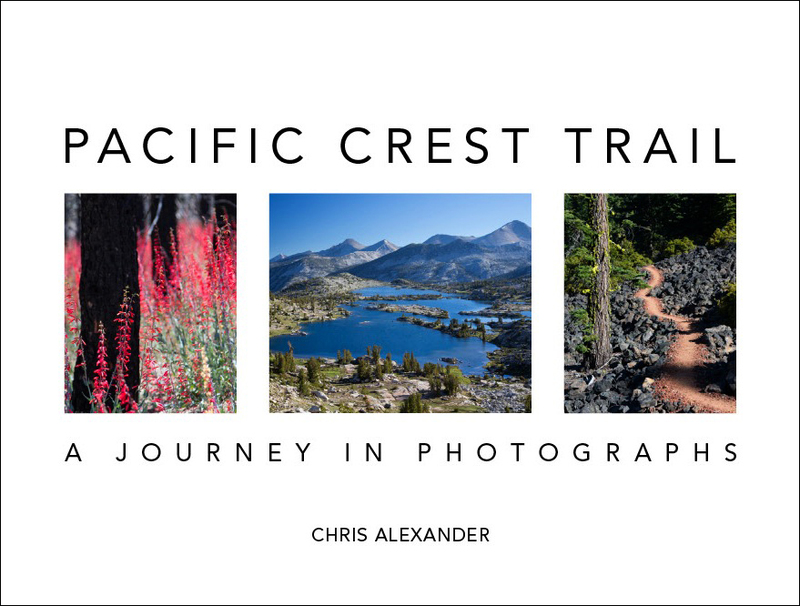 North Star and Shutterbug, we’ll go with you the easy way again — via the blog — and hope for another spectacular book after the AT like “Pacific Crest Trail- a Journey in Photographs”. Glad you love the book, Bernie! Hopefully our upcoming photos will show the difference in landscape between the PCT out west and the AT here in the east. You guys are off to a wonderful start. Wishing you a wonderful, angel- touched and magical adventure. Thank you Peter! Your wish is coming true. We’ve experienced some great trail magic already. Congratulations, Anna and Chris. You are doing it! This one will be easier in terms of elevation gain and altitude. I hiked a few miles of it through Shenandoah National Park in Virginia back in the late 1970s and 1980s, and actually stayed in some of the cabins built by residents who were evicted when the land became Shenandoah National Park. When you go through Shenandoah National Park, be sure to climb Old Rag mountain for a great view. Thanks for the Old Rag mountain recommendation, David. Learning the rich history surrounding the trail will be an added bonus for the AT. So excited to be following you again from Africa!! Keep warm for now! Thanks Becky! We can’t wait to hear more about your adventures in Africa. How cool that you now call it home. Yay! . How wonderful for you two to be off again and see spring come to the southern Appalaichans. The spring bird songs will be lovely i hope. All the best for another wonderful journey. And thank you so much for going to the effort to share your experiences with us. The book has been shared at work and all find it wonderful. We will get another map started on the cubicle wall to help remind us of what we are working for. Cheers! We’ve already heard the barred owl’s “who cooks for you?” call. We were excited to recognize it! Thanks for sharing the book and our adventures. It’s great to know everyone is keeping up with our journey. All the best to you and everyone at EPA! Don’t worry, Stu, any cleanliness is short lived on a thru hike! Thanks Cindy! Hopefully we can chat with you and Jim soon. So much going on for all of us! I am sooooo jealous right now. Have a wonderful hike. I’ll torture myself by reading all your posts. XOXO. Thank you Bobcat! It looks like you are enjoying your time in the desert. Glad to see you are having great adventures too. Have a great hike. Morel mushrooms have already been reported in Georgia – probabably lower elevation. Google to see what they look like. Once you find them slice them in half vertically. If they are completely hollow from top through the stem, they are edible cooked & delicious. Saute in butter with salt & pepper. Enjoy! Sweet, thanks Kathy! We generally avoid picking mushrooms on our own since we aren’t confident that we could avoid a mistake, but we enjoy learning to identify what we’re seeing as we walk. There’s a whole new set of flora to learn on the AT! Yippee! Have fun out there! We will be stalking you as you get closer to the smokies, especially just after Easter weekend when we hope to do trail magic with my folks, who we gave a copy of your book to! Have fun! Thanks Blueberry! It will be really fun to see you guys. Howdy, Shutterbug and North Star! You guys passed by me on those stairs like the wind on Wednesday morning. When I was huffing and puffing, taking a break on the stairs, I could see that bright green jacket getting closer and closer. lol. My brother and I met ya’ll again at Justice Creek as we were getting water on the second day and you gave us your cards. We were doing a from Amicalola to Neels. Just want to say good luck to ya’ll. Enjoy each and every mile, and approach every mile as fresh as the first one with renewed vigor. Thanks for the good wishes, Gold Strike! It was geat meeting you and your brother. Hope you can make it out for more section hikes this summer!